It’s time to swap out these popular building materials with options that improve the air. The past few decades have seen an abundance of research tying all manner of health issues to poor indoor air quality (IAQ). While most people typically think of smoke stacks and smog when they think of polluted air, the fact is that there are more negative health effects from indoor air pollution than outdoor. Poor IAQ has been linked to headaches, fatigue, concentration problems, allergies, asthma and other issues. You may know the basics of good IAQ: Use low-emitting materials and ensure adequate ventilation. In other words, look for products labeled low- or no-VOC and open windows whenever you can, but that’s not all you can do. Consider replacing these popular building materials with options that improve the air and overall health of your home. It may be time to consider alternatives to these popular building materials. Switch your bulbs for a better night sleep. Incandescent bulbs, instead consider a bulb that mimics the sleep cycle: Natural light is critical to health and well-being. New LED lighting technology can complement natural daylighting to promote health. LED bulbs with adjustable color temperature are designed to stimulate the human body’s natural circadian rhythms and improve sleep patterns. In the morning, the lamps emit a more concentrated blue-white hue to boost the natural waking cycle, while in the evening the lamps produce an amber hue, mimicking candlelight or fire. Granite, instead consider quartz or copper. 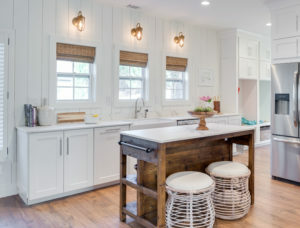 Kitchens can promote the growth of dangerous bacteria and microbes. Rather than inundating their homes with chemical cleaning products, some homebuyers are instead choosing antimicrobial surfaces such as quartz and copper, both of which combine an appealing aesthetic with a natural defense against bacterial growth. Copper is the first solid metal to gain EPA public health registration and is being used to create antimicrobial sinks, faucets, hardware and switch plate covers. Select an under-mounted sink to minimize bacteria growth in the kitchen. Standard-mounted sink, instead consider an under-mounted sink: Under-mounting helps minimize the potential for microbe growth by eliminating the bacteria-trapping lip between the edge of a standard drop-in sink and the counter surface. Although this is not a new innovation, it is becoming more popular as awareness of the impact of such choices on health and wellness grows. Carpets, instead consider hardwood flooring: Carpets can harbor dust, mites, and other allergens. Increasingly, homeowners are choosing hardwood flooring over wall-to-wall carpeting in the main living areas of new homes. Hard surface floorings free of formaldehyde and other known respiratory irritants are becoming the standard. Standard drywall, instead consider formaldehyde-absorbing drywall: The AirRenew® family of drywall products from CertainTeed uses an innovative technology to remove formaldehyde from the air and convert it to a harmless inert compound contained safely within the board. It installs and finishes like standard drywall and will continue to work within the home to reduce formaldehyde exposure and improve overall IAQ for up to 75 years. This is just a start, you can impact IAQ both by the way you manage your home and by the products and materials you bring into it. 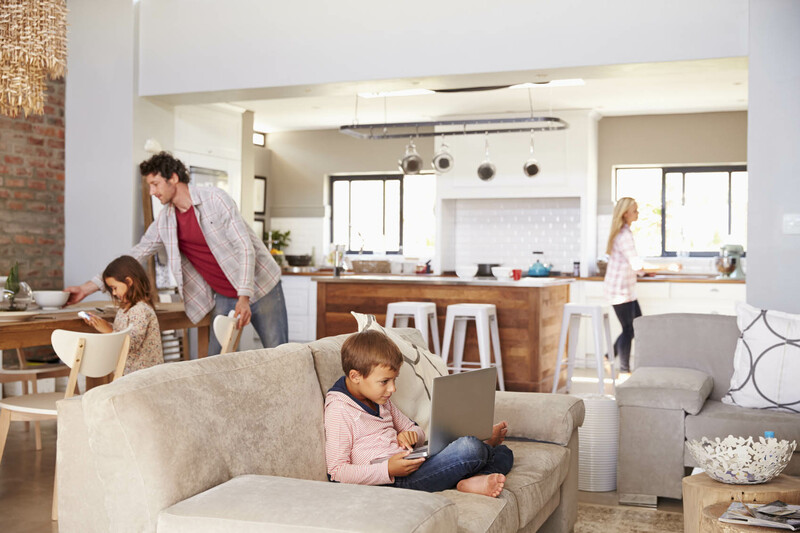 Indoor air quality may be a growing concern but with a little knowledge you can dramatically improve your family’s living environment. Is indoor air quality a concern for your family? What are your strategies for keeping a healthy home? Have questions about your home’s air quality and how to take steps to improve it? We can help. Plus, how to clean the air in your home and keep (most) VOCs out of the house with these shopping tips.